Today, I have to give props to the home improvement empire, Lowe’s. You may have seen the story: an ignorant, racist customer called Lowe’s to complain that the company sent (gasp!) a black man to deliver an item she’d purchased at the store. Salazar also said a senior-level executive later went to the store to personally apologize to Bradley. From a moral position, I think we can all agree that Lowe’s did the absolute correct and necessary thing. And, from a PR standpoint, it was also strategically wise. Brands that stand up for their workers and/or make it clear where they stand on social issues build strong bonds with employees and consumers who share the view. In fact, 79% of Millennials choose or boycott products, stores and services based on that brand’s allegiance to social issues. Anyone who watches the news or scrolls through social media knows race relations have been murderously tense in the U.S. these past few years. 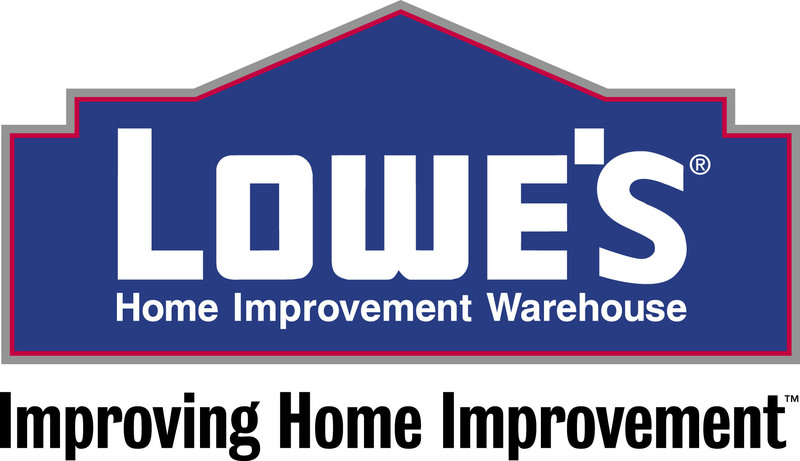 By publicly defending their employee and taking a stand on the racism issue, Lowe’s has already seen positive press. 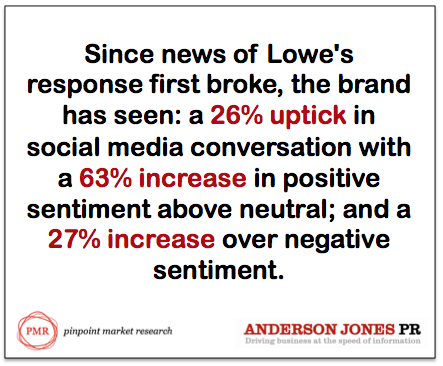 What’s even more impressive is, according to a quick comparison of online chatter prior to the story breaking and after word got out about Lowe’s response, the brand has seen: a 26% uptick in social media conversation with a 63% increase in positive sentiment above neutral; and a 27% increase over negative sentiment. (Data from Pinpoint Market Research and Anderson Jones PR). In other words, doing the right thing isn’t just good for the soul; it’s good business.